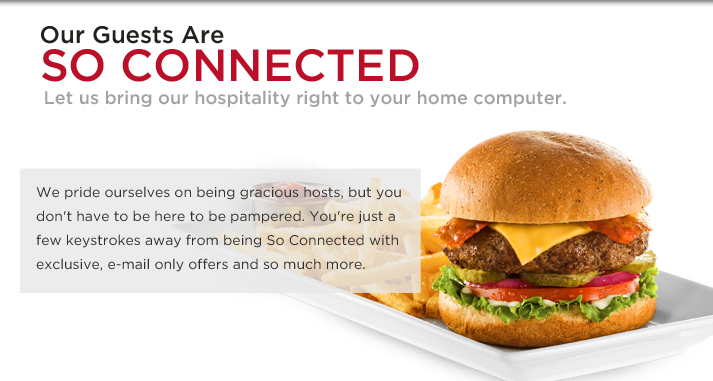 FREE Birthday Stuff: FREE Burger on Your Birthday from Ruby Tuesday! Do you love to eat at Ruby Tuesday? Well then you definitely want to sign up for their SO CONNECTED club. Not only will you enjoy a FREE Burger on your Birthday, you will also receive exclusive updates and promotional deals, Food & Bar redemption offers and much, much MORE! 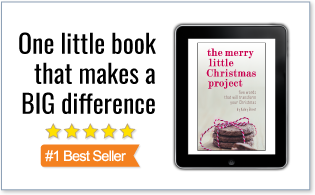 Looking for more great birthday offers? Check out all the other FREE Birthday Stuff I’ve posted! FREE Birthday Stuff: FREE Makeup Minis from Sephora! 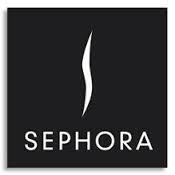 Become a Sephora Beauty Insider and get FREE Set of Deluxe Makeup Minis in lipstick and mascara from Makeup Forever! After sign up these automatically become available in your birthday month and you can pick them up at the register in any store OR online during checkout. In addition to your birthday gift you can earn reward points with every purchase, attend FREE Beauty Classes, get product rewards and seasonal promotions! FREE Birthday Stuff: Red Robin FREE Birthday Burger! 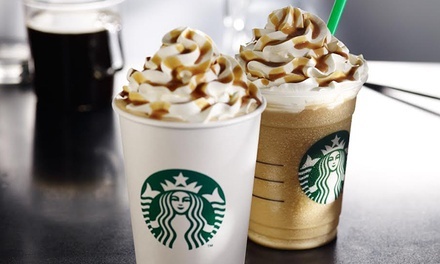 FREE Birthday Stuff: Get a FREE Drink or Treat from Starbucks! Do you love Starbucks? If so, you’ll definitely want to sign up for Starbucks Rewards. If you currently have a gift card you can click here to register your card or you download the free Starbucks app to your smartphone. Enter your birthday under your account and Starbucks will reward you with a FREE drink of your choice or food reward on your birthday + a 15% off coupon for StarbucksStore.com! You can also earn other rewards over time like free refills in store. To qualify you must register a Starbucks Card 30 days before your birthday. On your birthday stop by a participating Starbucks, tell the barista you have a free reward, then swipe your card or scan your mobile app. It’s that easy! Just be sure to redeem your reward before it expires! FREE Birthday Stuff: FREE Ice Cream From Baskin Robbins On Your Birthday! 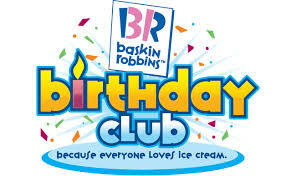 Did you know that by signing up for Baskin Robbins Birthday Club you will get a special FREE ICE CREAM email on your birthday plus a discount on a birthday cake? You will also get a BOGO Scoop offer when you sign up and additional savings throughout the year! Now that’s SWEET! FREE Birthday Stuff: Earn $3 ExtraBucks From CVS on Your Birthday! Well isn’t this exciting! Sign up for the ExtraCare Beauty Club at CVS and receive $3 ECBs on your birthday plus a 10% off beauty shopping pass just for signing up. You will also earn $5 in ECBs for every $50 in qualifying beauty purchases plus exclusive emails with coupons, tips and new product info. You’ll need your ExtraCare card number. If you don’t have a card, you can sign up here for free. FREE Birthday Stuff: FREE Dessert on Your Birthday at T.G.I.Friday’s! Join Friday’s Give Me More Stripes Club and get rewarded for eating! Sign up for this FREE Club and the perks start right away. Get a coupon for a FREE Appetizer or Dessert plus a one time “Jump the Line” pass which allows you to go to the front of the crowd immediately after signing up! You’ll be eligible for perks all year long and in your birthday month you will get a FREE Dessert with the purchase of an entree. That’s a lot of FREE Stuff! FREE Birthday Stuff: FREE Pancakes on your Birthday and MORE at IHOP! It’s not just FREE PANCAKES on your Birthday but so much more when you join IHOP’s Pancake Revolution! You could get a FREE full stack of their famous Rooty Tooty Fresh ‘N Fruity® Pancakes within 24 hours of signing up, on your Birthday and your 1 year anniversary of joining. That’s a lot of FREE pancakes!